NetEnt was one of the original online casino companies, having been formed as early as 1996. The company specalises in developing the best casino systems and games – their casino catalogue featuring over 200 games, which are renowned for their high entertainment value and creating the ultimate experience for the player. The standout section of their casino suite is the slots, this evidenced by NetEnt winning the coveted ‘Slot Provider of the Year’ award at the 2014 EGR awards – seven of these slots offering Jackpot payouts. In this guide I detail all of the Jackpot slots offered by NetEnt and the respective Jackpot amounts. I then detail the different ways these Jackpots con be won. I move on to recommend my own particular favourite NetEnt slot, finishing with a few words on why the award-winning Mr Green Casino is the only place to head for NetEnt (and many more) slot games. There are seven Jackpot slots offered by NetEnt. The three with the biggest Jackpot amounts are the Hall of Gods, Arabian Nights and the Mega Fortune (which now include several new variations linked to the same huge prize pool) slots. At time of writing, these slots had Jackpots of £2.2 million, £1.4 million and £400,000 respectively. These slots have pooled jackpots, meaning that they can be played across a number of different casino sites – the Jackpot fund coming from money pooled from all these sites. Pooled jackpots grow faster than those in individual casinos, and nowadays most of the big software houses run their flagship jackpot games in this way. You’ll also be able to enjoy Icy Wonders, Tiki Wonders and Geisha Wonders. These three slots share a common Jackpot, which can be won at any of the three games. This Jackpot is localised to a particular casino, so will vary from site to site – at my recommended site the Jackpot stands at just over £100,000. The final Jackpot is Cosmic Fortune, which actually has five different Jackpot amounts, three of them progressive, two of them fixed. How are NetEnt Jackpots won? The ways you can win the Jackpots vary from slot to slot. For example, on the Arabian Knights slot, you’ll win it based directly on the result of a spin – by landing the ‘wild character’ 5 times across all reels. In the Hall of Gods, Cosmic Fortune and Mega Fortune slots, the Jackpot is won during a bonus feature – the Hall of Gods slot requiring you to bash a number of shields with a hammer, revealing the same amount (or Jackpot) three times and you’ll win! The Jackpots in the Icy Wonders, Tiki Wonders and Geisha Wonders slots are awarded randomly – you’ll have more chance of winning these amounts the higher the stake level you play at. 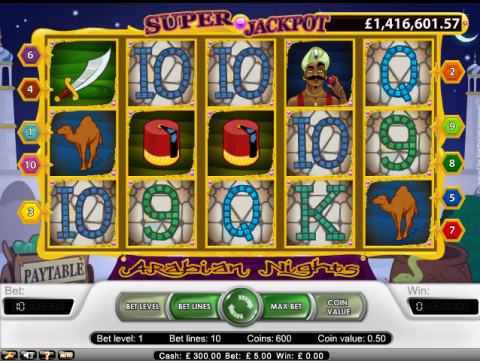 My personal favorite Jackpot slot in the Netent range is the ‘Mega Fortune’ slot. This is a slot that shouts money, and not just because the symbols in the game include champagne, a yacht, a Limousine and expensive watches. The game has an expensive feel to it, with incredibly crisp graphics and an amazing smoothness in the animation. This slot also holds the guiness world record for the biggest online slot jackpot, having paid out more than 19 Million Euros to one lucky player (and more than 10 million Euros several times). 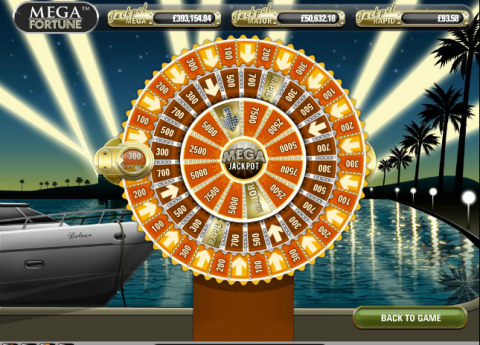 The game has a scatter symbol (champagne) which activates the free spins round and a wild (the yacht) which enables a greater number of wins, as well as all of your standard wins. However, you’ll also find the bonus symbol – and hitting this symbol three times from left to right will activate the bonus round, this round being where the Jackpot can be won! Here you’ll be taken a large wheel (see pic) with a series of numbers and arrows on various segments on the wheel. You’ll start on the outer reel, this spinning and landing on either a number or an arrow – hit the number and that is your winning amount, hit the arrow and you’ll proceed to the next reel. Every time you hit an arrow the prizes grow, hit the arrow three times in succession and you’ve won the mega jackpot! 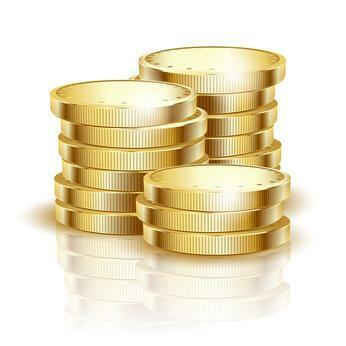 There are also two other jackpots on the reel – the Major and the Rapid Jackpot. Mr. Green Casino is one of the most stylish casinos in the industry, and seem to be a perfect fit for the impressive NetEnt slots range. The site offers a wide range of games alongside the slots, including multiple versions of blackjack, roulette and video poker, as well as a particularly impressive live dealer casino. When joining Mr. Green you’ll immediately be awarded 10 free spins at a select slot (changes each week, so check their site for the latest game). Then you’ll be offered a series of bonuses that could amount to a total of £350 – the first of which is a 100% bonus up to £100. Check out the NetEnt jackpot slots for yourself over at www.mrgreen.com now!